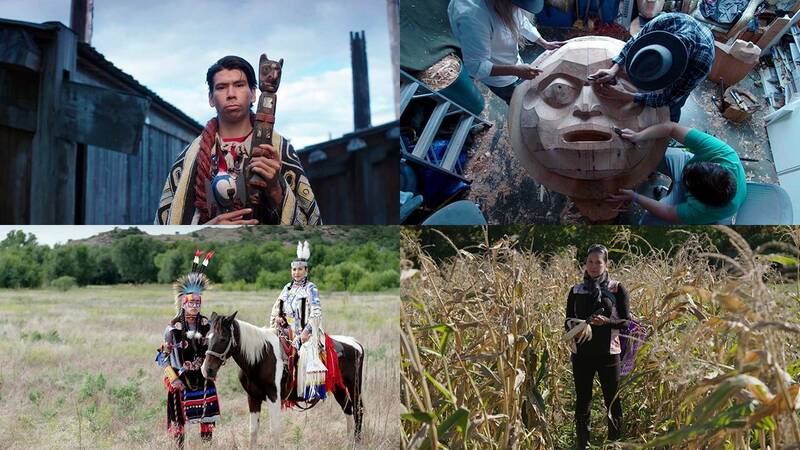 Weaving history and science with living indigenous traditions, NATIVE AMERICA brings to life a land of massive cities connected by social networks spanning two continents, with unique and sophisticated systems of science, art and writing. Made with the active participation of Native- American communities and filmed in some of the most spectacular locations in the hemisphere, NATIVE AMERICA reveals an ancient and still thriving culture whose splendor and ingenuity is only now beginning to be fully understood and appreciated. Rhode Island PBS presents NATIVE AMERICA on Tuesdays at 9 p.m. on October 23, October 30, and the two-part finale on November 13. Recent discoveries informed by Native-American oral histories have led to a bold new perspective on North and South America – that ancient people across these two continents may have been part of a single interconnected world. This and other research is leading to revelations that will forever change how we understand Native America. The series highlights intimate Native-American traditions and follows field archaeologists using 21st-century tools such as multispectral imaging and DNA analysis to uncover incredible narratives of America’s past, venturing into Amazonian caves containing the Americas’ earliest art and interactive solar calendar, exploring a massive tunnel beneath a pyramid at the center of one of ancient America’s largest cities and mapping the heavens in celestially aligned cities. Narrated by Robbie Robertson (Mohawk and member of the famed rock group The Band), each hour of NATIVE AMERICA explores Great Nations and reveals cities, sacred stories and history long hidden in plain sight. In what is now America’s Southwest, indigenous people built stone skyscrapers with untold spiritual power and transformed deserts into fertile fields. In upstate New York, warriors renounced war and formed America’s first democracy 500 years before the Declaration of Independence, later inspiring Benjamin Franklin. On the banks of the Mississippi, rulers raised a metropolis of pyramids from swampland and drew thousands to their new city to worship the sky. And in the American West, nomadic tribes transformed a weapon of conquest — the horse — into a new way of life, turning the tables on European invaders and building a mobile empire. The producers of NATIVE AMERICA were given remarkable access to Native-American communities, going behind the scenes at special events, including a pilgrimage to ancestral ruins at Chaco Canyon in New Mexico, a trek across lost territories in the American West, and an investiture ceremony for a chief in the Pacific Northwest, surrounded by cedar totem poles and centuries of tradition. Tribal members and descendant communities, whose ancestors built this world, share their stories, revealing long-held oral traditions as the thread that runs through the past to these living cultures today. Inventive animations by Academy Award-nominated artists and 3D computer modelling bring ancient ruins to life, enabling viewers to experience the pre-Columbian world in an immersive way. The result is a new window into a 15,000-year-old story that unifies North and South America and resonates to this day. In addition to the series, an expansive companion website on pbs.org and a robust community outreach and education campaign will accompany the series. Classroom resources thematically relevant to the series will be available on PBS LearningMedia (pbslearningmedia.org). Teachers can use these free resources and support materials to jump start classroom conversations and help students delve more deeply into the history of Native-American culture and innovation.